The legal side of buying a new build home is more complex than any other type of conveyancing. That’s because the potential for something to go wrong is much higher with a new build purchase – issues like non compliance with planning regulations, failure to arrange NHBC inspections, incomplete agreements for roads and sewers, failure to plan for the future maintenance of common parts of a development and so on can cost you dearly if not done properly. 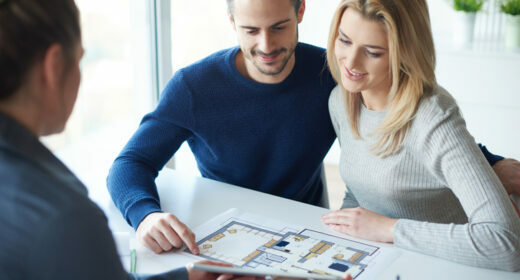 This means that finding a good conveyancing solicitor to oversee the purchase of your new build property is essential. As well as helping with the potential issues above, they will also ensure that the contract is in your favour, that your deposit is fully protected and that there is a ‘long-stop’ completion date for the property to be finished by. It’s not uncommon for the developers’ solicitor and sales team to exert huge pressure on you to complete, particularly coming up to their year end to exchange on purchases, even where there are clear conveyancing problems. If you have a good, independent conveyancing solicitor, they are less likely to bend under pressure from the developer and act in your interests. A number of things need to happen before the new build conveyancing process kicks off. The first is to ensure your finances are in order, and most developers will insist that mortgage finance is secured before contracts are exchanged. However the majority of standard mortgage offers are only valid for six months. If the property you intend to buy is not completed within that period, you may have to apply for an extension from your lender (subject to a reassessment of circumstances) or face having to reapply for the mortgage at a later date. Alternatively, you could try to find a lender which offers a specific new build mortgage deal with a longer (nine month) deadline. Before making a reservation, buyers should ask to see all specification details relating to the build as well as full landscape drawings and electrical plans. You should also visit other sites built by the developer (preferably of a similar design) to ascertain whether these properties meet your standards and requirements. Many developers will offer various incentives such as the opportunity to choose fittings and appliances or free parking where a charge would normally be applied. In some cases, Stamp Duty costs may be included within the costs as well. These are important details so always make sure you are aware of what is included in the price. The conveyancing process usually begins once an offer has been made. You’ll need to find and instruct a conveyancing solicitor as soon as the offer has been accepted. You may need to pay reservation fees when an offer is made, or a sale is agreed upon, to ‘reserve’ a new build for a set period (usually 28 days). This also facilitates the legal process leading to an exchange of contracts. The fee, which can be anything from £500 to £2,000 or even more on a ‘high end’ property, will be deducted from the final purchase price upon completion but is non-refundable if the buyer fails to exchange contracts within the stipulated period or pulls out of the sale completely. Therefore, always ensure that your mortgage is agreed in principle before making a reservation. The Consumer Code for Home Builders specifies that a reservation agreement is issued which details the purchase price, exactly what is included within that figure as well as the nature and estimated cost of service charges or management fees. You’ll want to ask for this if it isn’t given to you proactively. Buyers are usually asked to pay a deposit of between 10-30% of the total price of a new build upon exchange. This is paid to the developer’s solicitor. You will also be asked to sign a contract (usually prepared by the housebuilder) agreeing to buy the property at the current advertised price and to pay off the balance at completion. The major issue here for buyers is that mortgage lender property valuations are usually undertaken at the beginning of a new build and after construction is completed. If property prices fall within that period therefore, and the buyer is unable to secure a mortgage for the remaining balance (due to a perceived reduction in security for example), then the deposit will be lost due to breach of contract. In addition, the housebuilder can also sue the buyer for the difference between the agreed price and the lower price it subsequently achieves at re-sale, as well as any legal fees incurred. Many experts urge prospective buyers to establish if the contract price is ‘locked’ at exchange therefore and, if so, what happens if prices rise or fall before completion. New build warranties such as NHBC or Premier Guarantee will normally protect a full deposit against builder insolvency although in some cases it will only cover the first 10%. Furthermore, if the completion date on the build is ‘unreasonably’ delayed, so by more than six months, then you have the right (under the Consumer Code for Home Builders) to withdraw from purchase and claim a full refund. What should the conveyancing solicitor be looking out for? Highlighting any restrictive covenants that have been written into the lease or registered against the freehold. These could prohibit any alterations to the property (such as building an extension or attaching a satellite dish to an exterior wall) without prior (invariably fee based) permission, for example. Many builders will not allow a buyer to view their property until construction has been completed. In some cases, it’s possible that the buyer will feel the quality of work falls short of expectations and, as a result, it’s important to have a snagging provision written into your contract. This is the process whereby any errors or defects (ranging from cosmetic to more serious structural problems) are itemised and passed to the builder for repair. The best time to carry out a snagging survey is before the final payment is made on the property as any issues that arise after you have moved in could be disregarded by a builder as post habitational wear and tear. However, it’s worth remembering that your developer is responsible for all remedial work on defects which occur within the first two years of purchase. After that point, your NHBC warranty will (hopefully) cover specified structural problems. Most new builds come with a ten-year NHBC warranty which provides a form of insurance against structural defects. Be aware, as the NHBC can take a very long time to resolve outstanding issues and the warranty is more likely to protect builders’ interests than yours. This makes the need for an independent snagging survey either before completion or as soon as you move in all the more important. Once the your new home is complete, an official handover of the site to you, the purchasing client, is arranged. Keys, building log books and owner’s manuals are issued at this point and a defect reporting procedure agreed upon. Make sure that you are given copies of all the guarantees relating to the property, including all white goods (such as cookers, fridges and boilers), windows and flat roofs (if they have installers guarantees) and damp proofing and timber. For more about what you should do as you approach moving into your new build read out guide about moving into your new build home. It covers what you need to arrange in advance, what you should do on the day and in the initial weeks and years afterwards.